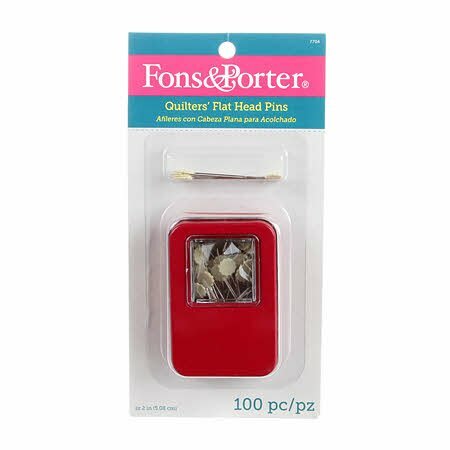 Fons And Porter Notions For Quilters. Flower head nickel- plated steel size 2. A quilter's pin designed specially to be used when machine sewing and pressing fabric. Plastic head pin that lies flat under a ruler. Perfect for holding stacks of fabric or heavy fabrics together.